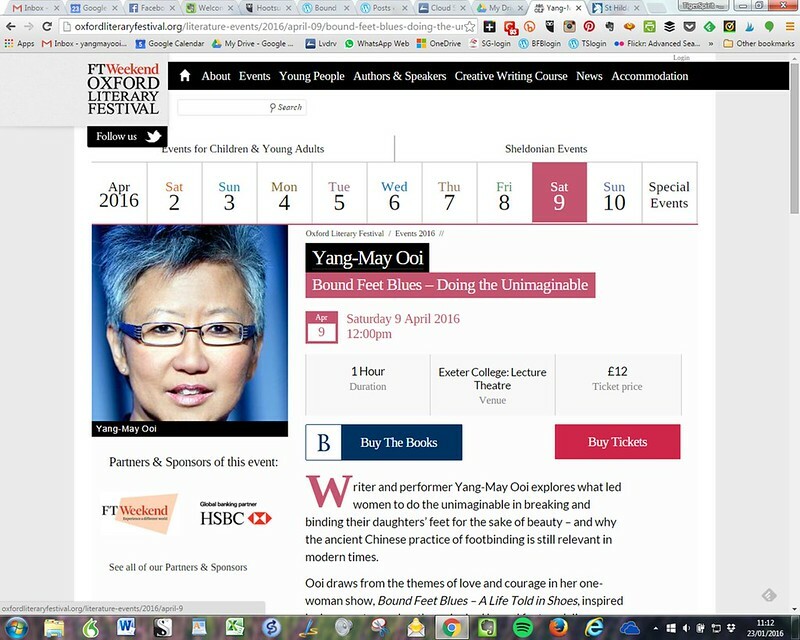 Writer/ performer Yang-May Ooi will be featured at the Oxford Literary Festival in a solo event as part of the St Hilda’s Writers Day on Saturday 09 April. 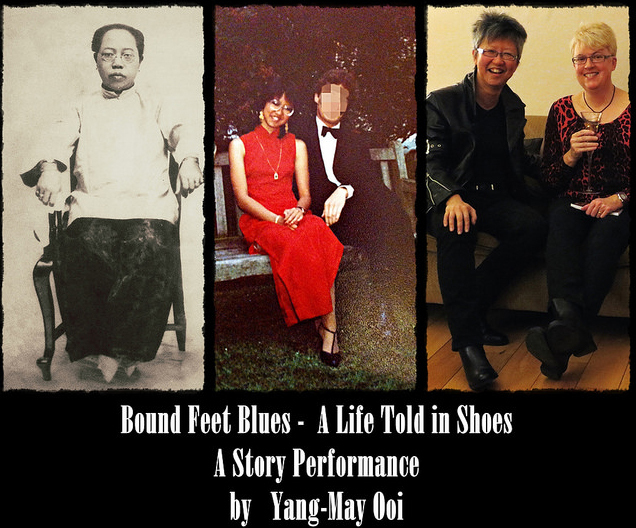 Yang-May will perform an extract from Bound Feet Blues and talk about Doing the Unimaginable – how and why women in China practiced the brutal process of footbinding on their daughters for a thousand years. I’m delighted to have been invited back to Oxford by my old college St Hilda’s as part of the Oxford Literary Festival. Bound Feet Blues opens in Oxford as I stroll across Magdalen Bridge from St Hilda’s to a summer ball with a gang of my friends in our ball gowns with our boyfriends in black tie. So it feels just perfect to be heading back to Oxford to talk about my show and the accompanying book of the same name. 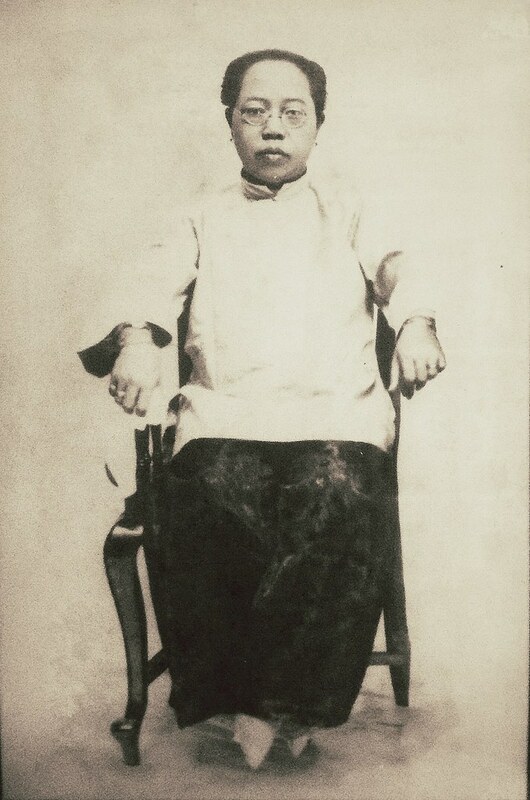 The brutal practice of footbinding is unimaginable to us today but was the norm for women in ancient China. 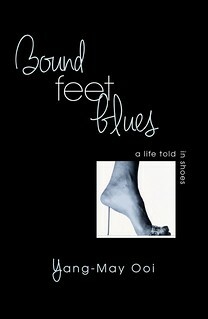 In her one woman show Bound Feet Blues – A Life Told in Shoes, inspired by her great-grandmother who had bound feet, writer/ performer Yang-May Ooi explores what led those women to do the unimaginable in breaking and binding their daughters’ feet for the sake of beauty – and why footbinding is still relevant in modern times. In this talk for St Hilda’s Writers Day, she draws from the themes of love and courage in her theatre piece to discuss what it means to do the unimaginable as mothers, daughters and creative artists today. Yang-May will also be performing a short extract from the show. There’ll also be the chance to buy a copy of the book – and I’ll of course be around to sign your personal copy. If you’re in the Oxford area on Saturday 09 April, it would be lovely to see you at this one hour event. If you’d like to say hello afterwards, please do drop me a line and I’ll keep an eye out for you – or just come up and say “hi”. If you know anyone in the Oxford area who might be interested to come along, please do tell them about the event. It would be great to see some warm and friendly faces in the crowd. If you can’t make it you can still discover the story for yourself in the book. The book stands alone as a distinct work from the show.